Last week, DTS & I were lucky enough to go on a long overdue trip back to The Cotswolds Distillery to celebrate the recent release of their Cotwolds Single Malt Whisky, which has been patiently maturing in a combination of reconditioned red wine casks and first-fill ex-Bourbon casks. The distillery, set in the hypnotically peaceful countryside of the Cotswolds, was founded in 2014 and have produced an award-winning gin, along with a range of other products like their Spirited Sherry, 1616 Barrel Aged Gin, and a Summer Cup. All the while, though, they have been distilling new make spirit and filling barrels in preparation for a whisky, and their first release is finally here. Although the inaugural release has sold out, a limited number of bottles will be available for Christmas and we were able to purchase a bottle at the Distillery shop, which we eagerly took home and tried out in a few different serves. Nose: Beautifully fruity notes of banana with toffee and caramel (or porridge oats with honey and banana), and a richness reminiscent of whipped cream. After a while, notes of pineapple upside-down cake and a dash of marzipan develop, along with hints of red berries that quickly transform into notes of red grapes, especially the skins. Taste: Given the fruity nose, I was initially surprised – not unpleasantly so – to find that the palate starts out with distinct notes of cereal and grain. This grows more complex as herbal and spice notes develop, accompanied by fruity wood flavours and hints of charred wood, too. Finish: Delightful fruit notes return on the finish, with notes of banana bread and pineapple cream that gradually fade into clean oak with a dash of black pepper. On our visit, we were also able to try some of the unaged new make spirit, which was fascinating. Not only was it a brilliant spirit on its own, but it was great to see where the whisky’s fundamental character started and how much of that comes from the local barley. Sweet and fruity with lots of pineapple, banana, cream and light caramel notes – this is almost rum-like in character. The palate is ruled by the barley notes, which are smooth, but develop neatly onto the finish, taking on more of a chewy cereal flavour. The fruitiness of the new make spirit is partially down to the yeast used in the fermentation process. Cotswolds use two types of yeast: Anchor, and a second variety, Fermentis, which results in more tropical fruit flavours and aromas. We quickly discovered that one of our favourite ways to drink this – and a perfect serve for a summer evening – was over ice. The richer caramel flavours are less prominent, but remain on the mouthfeel, making this a dryer drink. Notes of oak are accompanied by more herbal flavours at the start, before making way for notes from the barley. Delicious, confectionery notes of caramelised banana, creamy vanilla and toffee that fade into sweet ginger. With additional sips, hints of red apple and grape become intermingled amongst smooth cereal flavours, reminiscent of a spiced caramel apple betty. This is an indulgent Whisky Ginger full of rich flavours, but is impressively balanced by a more woody and grain focused finish. For those who prefer a dryer long drink, this would be a good choice. Dry, but creamy notes of chocolate come through to start, followed by salted caramel. More tropical fruit flavours then appear, ensuring that this doesn’t become astringent, before a light, but luxurious finish of banana and toffee (particularly, Toffo sweets). This works well, with the whisky’s richness and sweet fruit and caramel notes neatly highlighted by the red fruit and herbal notes of the vermouth. The whisky’s toffee and cereal notes also come through well, despite the strong flavours of this cocktail, before a very dry, woody and particularly herbal finish that lingers pleasantly on the palate. This would work well as either an aperitif or a digestif. As we toured the distillery, it struck me that the Cotswolds team had used a fascinating combination of traditional expertise – learning from people who have been in the industry for decades – and their own experimentation to produce their whisky, not being afraid to do things a little differently if they preferred the spirit that it produced. They focused on producing a great new make spirit that captured the flavour of their local barley and the result is a lively, flavourful whisky that is fun and tastes great. Highly recommended. Our 70cl bottle from the Distillery shop cost £44.95. If you’d like to keep an eye on the availability of Cotswolds Single Malt Whisky, you can do so on their website or at Master of Malt. Today’s review, which comes after far too long a break, takes a look at another whisky: one from the Johnnie Walker Explorers’ Club Collection, a series inspired by the journeys of those who took Johnnie Walker across the world. Available via travel retail, you might have spotted these as you explored the whisky sections of Duty Free shops. DTS and I first encountered The Adventurer before a trip to America a couple of years ago and we were a little confused at its store placement: very much apart from the other Explorers’ Club whiskies and with little information available on it. Intrigued, we bought a bottle. That was a few years (and bottles) ago. Nose: A saline, almost briney smokiness to start, with notes of tobacco, dry wood chips, and echoes of pineapple. Lovely spiced notes build up over time. Taste: Very soft on the tongue, but with more force of flavour on the palate afterwards. There is a pleasant smokiness, before lasting notes of dry, not tart pineapple, light wood, and chilli, then sweeter spice with more smoke on the finish. A lovely dram that, personally, I think is perfectly halfway between the Red and Black Labels. Pleasantly dry, but the Rosso comes through well. Wisps of smoke are followed by lots of complex herbal notes. The finish remains lovely and dry, with notes of dark liquorice and a hint of berries. Finally, there is a clean, light, and woody smokiness. The Adventurer makes an unusually sharp, almost bitter Old Fashioned that makes a wonderful aperitif. Subdued honey notes are followed by the smoke and spice. Like the Rob Roy, its finish is very dry, but full of smoky flavours, along with a little lime and vanilla. Exceptionally dry, this is a refreshing, grown up drink. The soda water lengthens the whisky well, without masking any of its flavours. To start, there is dry vanilla, before a flash of sweeter smoke, then more charred notes that linger on a refreshing, woody finish. Again, this works well, but produces a much sweeter drink than the others. It is creamy, too, with lots of vanilla and just a dash of smokiness – more than you’d get with the Red Label, but not as much as with the Black Label. The finish is long, with solid notes from both the ginger and the whisky’s oak notes. It is worth noting that the Explorers’ Club Collection covers a broad price range, but The Adventurer is the cheapest, at around £32 for a litre in Duty Free. It can be found for around £40-45 in the UK. Given the combination of price point and the international theme of the collection, we decided to try a few additional, unusual long drinks alongside our normal line-up. This is an unexpectedly brilliant, refreshing drink. The coconut water adds the extra sweetness and creaminess that The Adventurer holds back on, resulting in smooth notes of pineapple and light coconut that fade into smoke, dry apple, and oak on the finish. Exceptionally easy to drink, especially in warmer weather. These flavours, again, go surprisingly well together – there is bright, vibrant, citrus (lemon and grapefruit) that flows seamlessly into the light smokiness of the whisky. The finish has notes of vanilla and pineapple, and a continued stream of smokiness. Intrigued at how well some of these combinations were turning out, we decided to try The Adventurer up against one of my favourite (and most flavourful) soft drinks: Fentiman’s Curiosity Cola. The result? A tasty drink with great structure and body. Not too sweet, there’s a dry woodiness to start, that is quickly swept up in the complex, herbal flavours from the cola. The Adventurer’s smokiness appears on the finish – soft to start, but gradually increasing – and works very well with the more medicinal notes of the mixer. The Adventurer is a great addition to the Johnnie Walker line-up. With its light texture, but combination of distinct smokiness, dry pineapple, and spiced notes, it makes for a whisky that is both easy to sip – sitting midway between the Red and Black Labels in taste – and works exceptionally well in mixed drinks. A firm favourite in our household. I have seen more varieties of Advent calendars this year than ever before, containing all manner of treats beyond the normal chocolate of my childhood calendars: tea, cosmetics, sock yarn, and – of course – the wonderful Ginvent and other Master of Malt Advent Calendars. This year, however, I’m eagerly looking forward to exploring a different spirit category in my calendar: Cognac! In addition to gin and whisky, Master of Malt also produce a wide range of calendars looking at different spirits, whether that be rum, vodka, a range of whiskies, or even – as DTS will be reviewing this year – something as innovative as distillates of different junipers. So there’s a calendar for everyone’s favourite tipple! I have to admit, though, that I’m really very excited at the prospect of their Cognac Advent Calendar – what a wonderful way to try a range of Cognacs, identify some favourites, and expand my palate for the spirit, all whilst counting down to Christmas Day? You can follow my daily posts on Instragram and Twitter, which you can follow at @saraandthebear or using #CognacAdvent. I’ll also do an interim report roughly halfway through. It’s St. Patrick’s Day today and we thought we’d resist temptation (however strong it may be) to write an article full of green concoctions to focus instead on making excellent drinks with an excellent whiskey. Namely, Jameson Select Reserve Black Barrel. The Black Barrel is, like Classic Jamesons, a mix of pot and grain whisky and is triple distilled. However, the grain whisky that is used is made to a particular specification and is only distilled once a year. The ex-bourbon barrels used for aging are charred before leaving Kentucky and ex-sherry barrels are used, too. Nose: Light oats and syrup, but not too sweet, and a little banoffee, but – again – this isn’t at all overpowering. On top, more savoury oatcake notes and just a hint of cornflakes. Taste: Smooth, but with a good profile. Salted caramel and fresh grain, with hints of spice and smoke here and there. Pleasant, clean, warm wood notes follow. Finish: Flapjack and a return of the light banoffee from the nose, plus notes of unripe banana and a little green “stalkiness”. This has a wonderful rich flavour – an excellent example of how a Whiskey Ginger doesn’t have to be lightweight. The whiskey works with the ginger to produce a drink with notes of rich, bold, polished wood and a combination of fresh ginger and cola (it reminds me a bit of Fentiman’s Curiosity Cola, of which I’m a fan). There’s also some spice and a hint of orange, before vanilla and a dry, woody smokiness. Delicious fruit cake notes on the nose: rich currant and raisin, and the tartness of tbe vermouth comes through nicely. To taste, this is also rich and fruity. The whiskey lets the other ingredients show through, before appearing strongly on the finish, which is of genuine, dry wood. I got light hints of bubblegum on the nose of this drink, which were actually quite nice. The cocktail itself is sweet and warming, with richer wood notes than in the Rob Roy. There’s an interesting combination of sweet berry and pepper spice, plus vanilla, and – again – a touch of cola. The finish is cleaner and dry, with greener wood notes. This is a Tom Collins made using Irish whiskey and this particular example is refreshing with some lovely, creamy vanilla notes and some smoky wood, too. The lemon really comes through on the finish, reminiscent of lemon meringue pie with a touch of key lime; add a touch of spiced bitters and you’d be there. Accessible and fresh. Unlike when tasted neat, with soda, far more of the mellow, creamy wood and vanilla notes come through, with less of that smoky woodiness. This is a very accessible drink, with sweet, creamy notes followed by a refreshing, dry, woody finish. Jameson’s Select Reserve is a great Irish whiskey that’s full of flavour and works equally well on its own and in cocktails. My favourite of the serves that we tried, however, surprised me: the warm and complex Whiskey Ginger really stood out. Both of us here at SummerFruitCup HQ are big fans of travel retail exclusives and our article covering a range of Jack Daniels products is one of the most popular on the site, so when I saw Jack Daniels Gold No. 27 at Duty Free at San Francisco Airport recently, my interest was piqued. When I saw that it wasn’t just a new bottle or different ABV, I decided to pick up a bottle. Jack Daniels Gold No. 27 is a double barrelled, double mellowed whiskey, which is then finished in maple barrels and bottled at 40% ABV. Double mellowed refers to the fact that the spirit is mellowed through a column of charcoal both before and after aging (Gentleman Jack is also double mellowed). Nose: Fresh, creamy creme brulee topped with caramelised light brown sugar, backed up by the richness of a brandy. Taste: Very sippable, with a pleasant warmth to it. The texture is creamy – almost like melted ice-cream – with vibrant grain notes and flashes of fresh oak, before fleeting, slightly more bitter wood notes. Finish: Relatively long and pleasant, with notes of oak and vanilla, and hints of maple and perfectly ripe banana. Defiantly dry on the palate, but also smooth, light, and refreshing. There’s a complexity at the end in the form of a maple sweetness, which makes this slightly sweeter than other Whiskey Sodas (maybe a good choice if you usually like your whisky with ginger). It’s also creamy in texture and would be excellent with a meal, especially during the warmer months. Top notch: banoffee on the nose, with lively notes of roasted banana, creamy toffee, and some grain notes afterwards. These flavours follow onto the palate, which is smooth and creamy, with a good warmth to it. The finish is much dryer, with more, but more subtle notes of roasted banana. Straight forward, but full of flavour, with a pleasant, fruity tang from the vermouth. There’s a dry, lingering, slightly musty, sherry-like finish with woody overtones. Not at all sweet, but rich and punchy. Another rich cocktail, but with a light texture. Easy to drink at any time of day, with notes of creamy fudge, maple syrup, a woody sappiness, ginger, and vibrant lemon that arrives on the palate with a burst of freshness, before a return to dryer banoffee notes. Gold No. 27 is a welcome, if slightly expensive, addition to the Jack Daniels family. Its smooth, banoffee notes are well balanced with vanilla oak and it works equally well on its own or in mixed drinks, where it adds flavour without overpowering or overcomplicating things. Our bottle disappeared very quickly, indeed, and I was particularly impressed with the Old Fashioned and Whiskey Ginger. Jack Daniels Gold No. 27 is a travel retail exclusive, available in certain duty free shops in airports across the world and priced around £65. As I left the house this morning, a definite chill lifted the hairs on the back of my neck. As I scrambled around in my pockets for my gloves, I pondered where the recent hint of spring had gone. 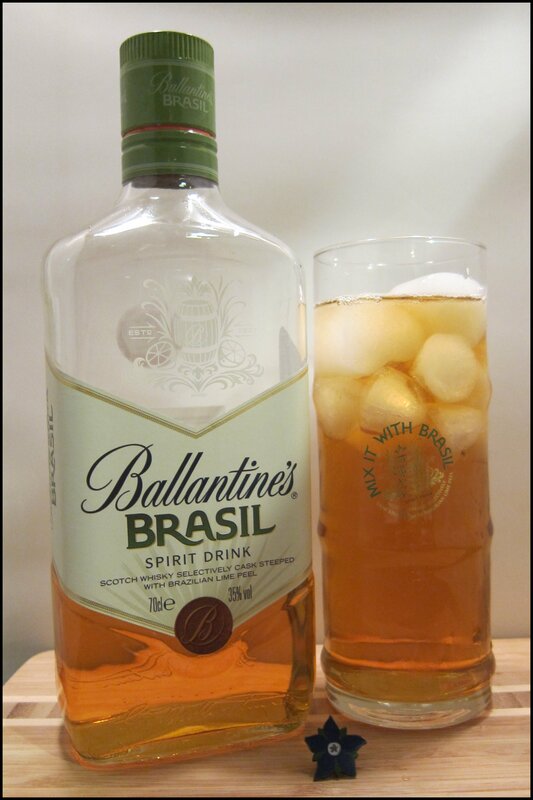 Well, one product that certainly calls for warmer climes is Ballantine’s Brasil. Inspired by George Ballantine’s love of blending whisky, the company wanted to make a spirit designed to be used in mixed drinks. After some initial experimentation, further inspiration came from Brasil, where drinkers regularly drink their whisky with lime. 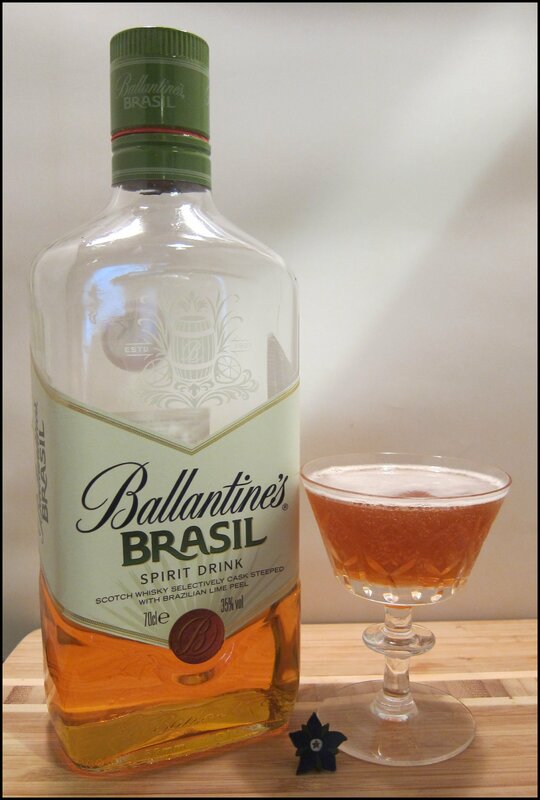 Brasil starts life as a specially designed Ballantine’s whisky, which is then flavoured in the cask with Brasilian lime peels, before being combined with some vanilla extract (the real thing, none of that artificial flavouring), and just a dash of sugar syrup. The combination of strong flavours and its destined use for mixing means that Brasil is bottled at 35% ABV, making it a “spirit drink” or flavoured whisky, akin to those produced by a variety of American whiskey companies, like Jim Beam’s Black Cherry. 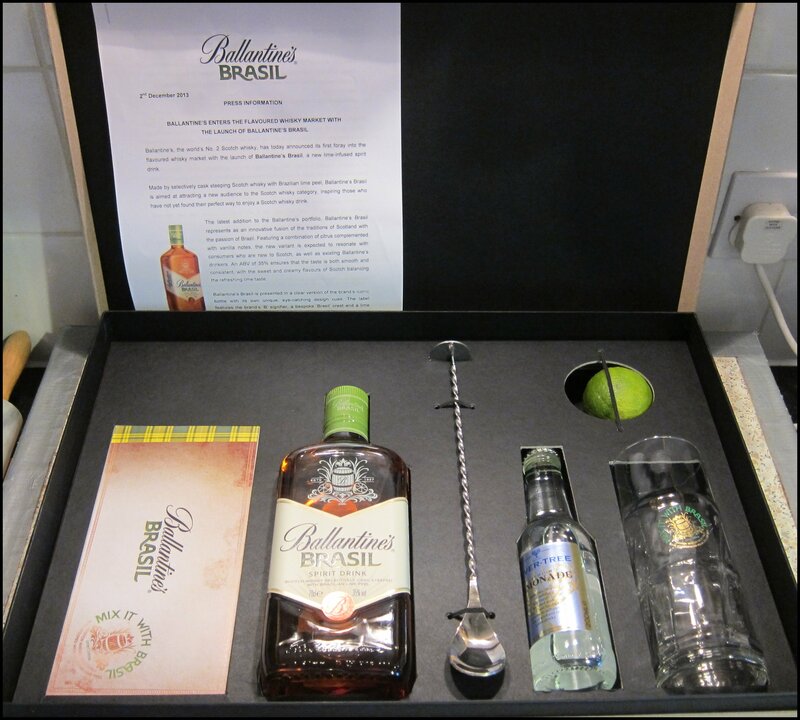 The rather lovely Ballantine Brasil press pack – note the sugar cane shaped glass and the pocket for the lime. Somewhat intrigued by the use of natural flavourings throughout, I did sample some of the spirit on its own. The lime and vanilla come through, fresh and bold, on the nose, reminding me a little of a Whisky Ginger with a lime wedge. The same flavours came through on the palate; the citrus making for a very “bright” flavour, and the vanilla neatly balancing it out. The finish was refreshingly tart and dry. A delightfully simple drink to make, but one that allows you to enjoy the spirit in a long, thirst-quenching drink. The lemon flavours of the soda work well with the lime tang of the spirit, as well as the fresh lime garnish. Whisky and lemonade may not be a usual combination, but, in this case it really works. On the finish there are some light spice notes, including cinnamon and vanilla, which sign the flavours off nicely and adds a pleasant and unexpected complexity. In a similar style to the above drink, this also works well with Champagne Ginger Ale (e.g. Canada Dry or Fevertree), providing a lighter and more accessible version of the Whisky Ginger. Even without a fruit garnish, the lime sings through. A smooth drink with tart apple upfront and then the warmth of the spirit, as well as some spicy woodiness, then vanilla and lime. I think this is improved with a dash of bitters (Angostura is fine). It also has some potential for a toddy-like hot drink, which would work well with a cinnamon stick garnish. Lime and vanilla are, again, centre-stage in this cocktail, but it’s initially a little sweeter than some of the other drinks. About halfway through, the floral notes from the cordial really make themselves known; the sweetness also tones down a tad, before a lovely, dry finish of elderflower. This could easily have been dominated by any of its flavours, but it’s perfectly balanced – a brilliantly engineered cocktail. A tasty and refreshing drink. The vermouth adds a pleasant, herbal complexity, whilst still allowing the underlying flavours of the Ballantine’s to come through. The fresh lime adds a nice, tart finish, creating a very refreshing drink. Another simple drink inspired by the classic Brasilian cocktail Rabo de Galo (although this uses cachaca and red vermouth), but despite the simple recipe, the result is a drink that is full of a whole array of flavours: some woody spice, the tart lime that goes well with the bitter herbs of the vermouth and then some sweetness, too. The orange bitters add depth and stop it from being too confectionery. Brasil isn’t a whisky and isn’t designed to be drunk like one; it’s a refreshing cocktail ingredient, made using natural ingredients and just the right amount of sugar. It makes a whole array of tasty concoctions, which all seem to taste like more than the sum of their parts. It should maybe be avoided if you don’t like lime or vanilla, but otherwise, I’d recommend giving it a try – it feels more like sunshine’s just around the corner with one of these cocktails in your hand! My personal favourite was the Flower O’Brasil. There is much evidence that Frank Sinatra enjoyed Jack Daniel’s Tennessee Whiskey. In tribute to the charismatic entertainer, the folks at Jack Daniel Distillery decided to make a special bottling of the singer’s favourite tipple. The legend goes that he was even buried with a bottle of Jack. 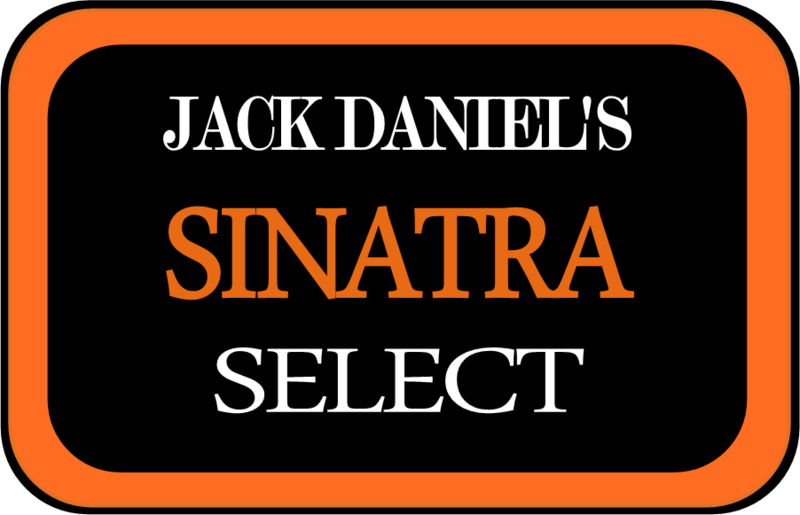 Sinatra Select is essentially the classic Jack Daniel’s Tennessee Whisky, only bottled at 45% ABV (or 90 proof) rather than 40% ABV – the higher proof that the whiskey would have been at when Frank was drinking it pre-1987. It was also aged in “Sinatra Barrels”, which were handcrafted especially and had a series of deep grooves on the inside, resulting in greater surface area for the whiskey to come into contact with. It comes in a special box, incorporating neat elements of Sinatra’s persona: the fedora icon and the use of orange, which was said to be Frank’s favourite colour (and is also particularly striking alongside the black of the label and rich, amber-gold of the spirit). There’s also a booklet giving a bit of history on Sinatra and the whiskey. But what does it taste like? Nose: Soft, warm spice, like cinnamon mixed with the sweetness of chocolate. Hints of unripe banana and caramel, wrapped up with creamy vanilla. Young wood that’s been sitting around for a little while and has got a bit dusty; reminiscent of barrel houses. Finally, there’s a slight, bright note at the end of peppermint cream. Taste: A particularly short flavour profile that starts out with genuine caramel flavour that turns into more of a toffee note, before more bitter, woody notes. There’s a prominent, very distinctive note of musky wood that dominates the middle of the palate. On top, there are notes of liquorice, dark chocolate, and a bitter, organic stalkiness. Finish: Unripe banana and creamy vanilla, with a pleasant warmth, before slightly bitter liquorice root and light tannins. This is, by far, my favourite variety of Jack Daniel’s whiskey. It works incredibly well neat in a glass, with a bold, interesting flavour that’s full of confectionery notes that are neatly rounded off with a dry, lightly bitter finish and a very pleasant warmth. Given the limited supply available and higher-than-usual price tag (currently around £150 for a litre at The Whisky Exchange), it might not be for everyone, but if you get the chance to give it a try, even if you’re not into the sentiment around the tribute, I’d highly recommend it. For more Jack Daniels Hi-jinx check out our big Jack daniels Tasting – Mrs. B Meets Jack Daniels, The White Rabbit Saloon and our upcoming article on Jack Daniels, Sinatra and The Savoy.